One of the least talked about, but possibly most effective for an array of injuries, aquatic therapy is a form of physical therapy that is growing in popularity. The advantages of it are endless, whether for the elderly or a young athlete, with benefits that include improved balance, strengthened muscles and less stress on the body. Not only does aquatic therapy work immensely well at healing your body, but it also feels great! You’ll be utilizing a therapy pool with traveling currents, and as a result, the water moving against your body creates a massage. All of this promotes blood flow and speeds up the healing process. A key element of your body healing properly to avoid a repeat injury is the rebuilding of muscle memory. When you’re injured, your muscles begin to get weaker and due to the significant decrease of use and movement, they essentially lose their purpose. As you go through aquatic therapy, your muscles begin to get their memory back through the natural viscosity and consistent resistance the water’s current provides. 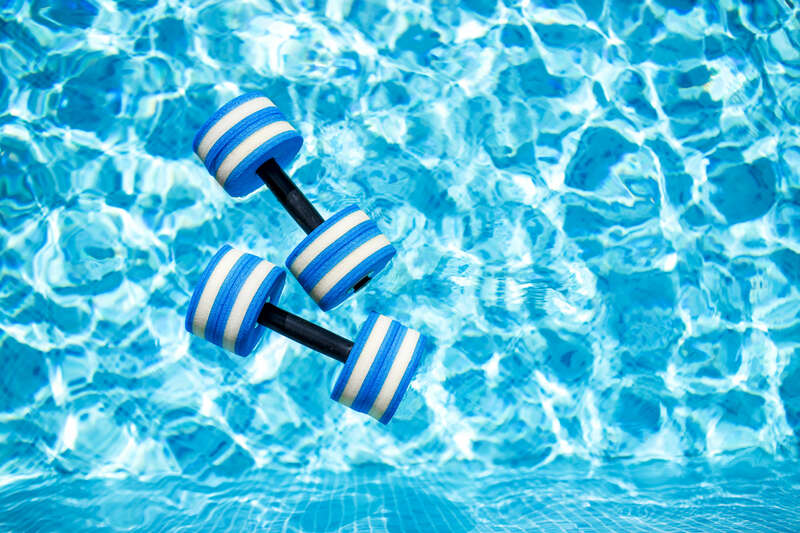 Whether it’s a therapeutic pool or a regular old pool in your backyard, you can work on your physical therapy on your own. Take advantage of a chance at recovering faster by working on your physical therapy at home in your pool. While you won’t have an aquatic therapy pool that has a current, there are many ways you can utilize your own pool. Talk with your physical therapist about what you can do between sessions. We take your health seriously at Excel Sports & Physical Therapy and work with you to develop a treatment plan that suits your specific needs, and that can include aquatic therapy.